Creativity has no door, it is an open window from which one can look out for ideas and imply them according to the task’s requirement. Creativity always pays off because it is never being copied and imitated, it is innate and comes out like a flow of imagination. The more a person is creative the better job he can do by making imaginative piece of art. No matter it is about designing a logo, composing a sonnet, writing an epic poem, producing a film, drawing on the canvas, or anything of this sort; it can be beautify by one’s creative impulses. Creativity has a long way to go and it earns someone a great amount of appreciation, creativity is rewarding and whosoever makes use of his creativity will definitely get its outcome. Initiation, ideology, inventiveness and ingenuity serve like comrades of creativity, they all come naturally to the task which is being done by one’s intellect and creative impulses. It enhances the appeal of the design, it boosts the impact of the artwork, it intensifies the significance of the task and it also serves as making it a surprise package for the beholder. So in short, it never goes out of style. Lately, I designed a free company retail invoice bill pad mockup that can be used for personal or commercial projects. This retail invoice bill pad is one of the office table essentials, or one can usually find it placed on the front desk, in billing cabin and being used by the retailers to write the accurate amount and quantity of goods/stuff. 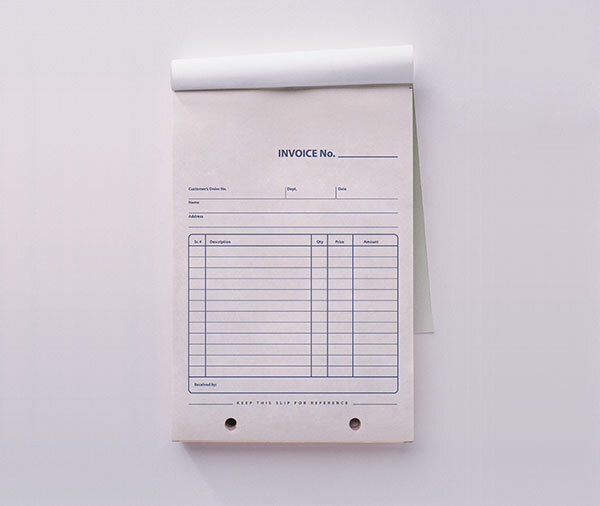 You can draw the design and insert your own elements to make a presentation out of it for the respective client, so he can well assess how his company’s invoice bill pad/page will look like in practical (implemented) form. For more design feed, just stay tuned to the blog, we are here to put forward the best art/design collection, subscribe us so not to miss out on our creative design collection, shout outs, and impressive design accumulation that our team design and put together for you all. Here we go. 4. And don’t forget to follow us or subscribe to receive for more high quality premium freebies & awesome articles only. very nice….will you add my mockup to your website ?